This is a detailed description of access and mobility around the property, written to the guidelines supplied by VisitEngland. You can read it on VisitEngland's accessibilityguides.org website by clicking on the link below, or download a PDF copy here. 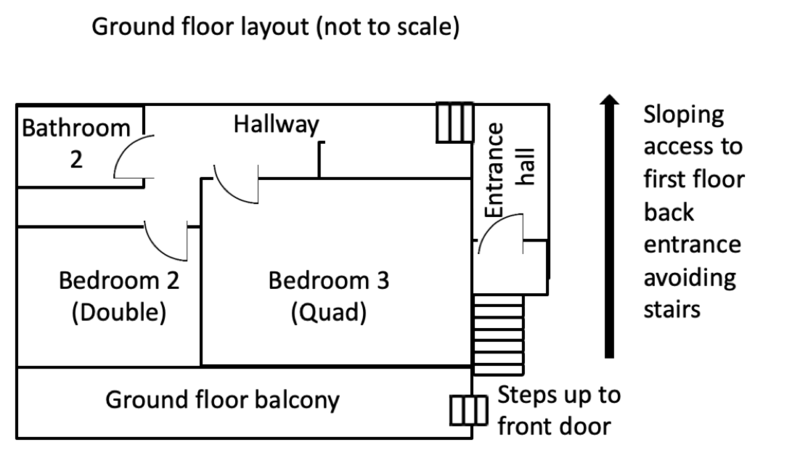 The Quarterdeck is built on a slope with quite an unusual layout, where the first floor at the front becomes the ground floor at the back, and the living space is on the first floor. 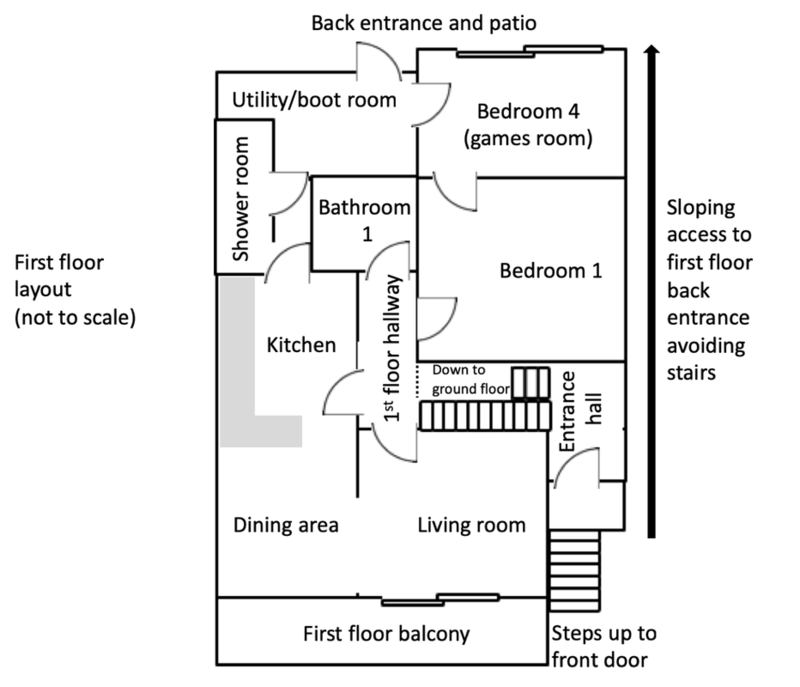 Please take a look at the floor plans below to get a better idea of the layout.